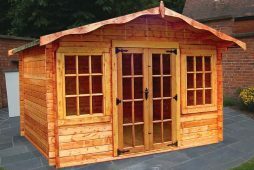 Welcome to J Dowle Fencing & Garden Services Ltd. Our timber supplies come from Boxley Timber & Fencing Supplies Ltd. Their stock includes some of the finest brands in the business. We are members of the Medway Fair Trader scheme and so we are proud of our excellent reputation for customer service. J Dowle Fencing has worked hard to become known as an established Fencing & Decking services contractor. We deal with any installation and repairs work for our customers across Kent and Medway. If you live in Maidstone, Chatham, Gillingham, Sittingbourne, Gravesend or anywhere in Medway or Kent, we can help. If you require a quote or a site survey, please contact us today to arrange a home visit. We have over 40 years of experience in our trade. This means that our family-run business installs the best Fencing and Decking products. All our customers receive the benefit of our extensive knowledge and expertise. Since 1971 J Dowle Fencing & Garden Services Ltd has delivered prompt and reliable Fence Installation, Repair and garden services. Once the projects are completed, our clients throughout Medway and Kent always get their dream garden. 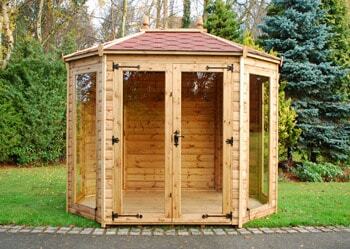 All our materials are weather treated to ensure long life and durability. We work tirelessly to ensure that everything we use meets the requirements of the relevant British Standards. We only source the finest materials for your garden. From commercial and domestic fencing installation and repair to decking design, construction and installation. If you want to turn your garden into a stunning showpiece, Contact Us now to arrange a site survey and quotation. Do your hedges need trimming down? Do you have a troublesome tree stump that needs grinding down? If the answer is yes, then J Dowle Fencing & Garden Services Ltd can help. Keep your garden looking presentable and beautiful with our professional garden services. We also sell log wood and kindling for both collection and delivery. This is available all year round.